What words to share? So much romance and poetry in words of the heart and I choose THESE. ❤️Remade into hearts and pinks for the occasion. 💕If we are going to celebrate love this week, let it begin with a heaping helping of love for ourselves. ❤️ If this one struck you as words that hit home, go to my stories and grab it as a wallpaper. You can also find it in the Freebie Highlights. ❤️ Take this one all in and pass it on to anyone who could use it, too. Every now and again, I add features or links to posts from companies that sponsor the blog. When I do this, I'll let you know right at the top of the post. Sponsor companies are ones that I select and shop myself. Products are theirs, but opinions are mine. Today's valentines were selected by me and provided by Minted. Happy (almost) Valentine's Day, friends! We are in full-on Valentine prep around here with classroom parties galore. The great folks at Minted offered us classroom valentines of our choice (and, oh, the choices! ), and I'm pretty sure these are the nicest valentines we've ever sent. They came personalized with my daughter's names, too, so we've had fun adding special touches to the envelopes (hello ring pops) since the hard work was already done! Since our cards are stepping it up this year, we decided to take our valentine container up to the next level, too. 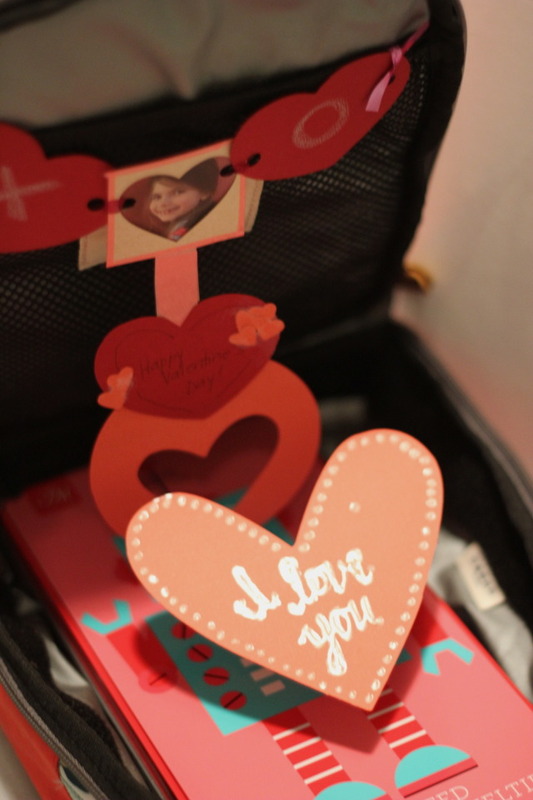 Did you decorate shoe boxes to collect your valentines as a kid? Or make a heart complete with doilies and ribbon to hold your cards? I did, and I loved the creation of the container almost as much as the cutesy notes themselves. Well, times have not changed, but instead of gluing my box or envelope, my kids and I crafted some sassy t-shirt bags to tote our love notes. These bags are super easy, upcycled, and take less time than construction paper and glue (no...really). I have a sewing machine that loves dark corners of my basement, and I wasn't ready to change its mind for this project so I found this idea and made it valentine. Dig to the bottom of the drawer, or for us the bag of giveaway clothes. We found a pink and a red t-shirt that were too small to wear but in awesome shape, ready to be remade. *Just a note, if you're making a bag suitable for kids, use a kids t-shirt so that the bag won't be too large for their size. We wanted a blank canvas so we turned the shirt inside out. Trim off the tag as well as the sleeves (with a little extra for the handles). Next trim a rounded or squared shape from the neckline to create the handles of your bag. We made our bag with three holes in the bottom and therefore we cut three slits at the bottom of the shirt, about equi-distant from one another. With the sleeves that you trimmed, cut 1/2 inch strips the entire length of the sleeve width. Pull on the strip to make it curl on the edges (neat-o trick). Grab one of the strips, pin it with a safety pin on the end and feed it through the seam allowance at the bottom of the shirt. Thread it through two sections of the shirt, pull the cord, and tie a knot. Continue to do this with the two other strips and the remaining seam sections. Tie all ends into one large knot at the bottom of the bag. Grab your freezer paper and cut a heart stencil. Apply paint evenly with the brush or sponge of your choice. We chose a metallic paint to add some shimmer to the bag and stamped simple hearts on the front and back. That's all there is to it! Our first shirt took us 20 minutes with painting included, and we whipped up the second in under 10. My 9-yo could craft these on her own, and they'd make great party favor bags for a sleepover or to go bags from a crafternoon. Maybe gift wrap for a galentine's day present?Or make one for yourself to show that you love Love Day! Happy Valentine's, dear readers. You all are the sweetest! Hey lovelies! Valentine's Day is but a week away, and we are stamping, sticking, and stuffing some gorgeous classroom valentines from Minted at our house. Check back next week for a super cute bag we'll be making to tote all the love notes! Have I mentioned that I'm a classroom mom? I have resisted and avoided for five years until this year, my oldest daughter's teacher asked me (!) to be the stewardship parent. And I said, only if my husband and I can do it together. So we are. We are the parents for the class which means we get to organize their service projects (which is really why I jumped in) and plan their parties (which is really why I ran away at any notion of assisting in the past). The third graders will have a simple yet fun-filled celebration of friendship and love, rotating from center to center. I've been scouring the interwebs and pinboards to find crafts that are hip enough for this tween age and easy enough to accomplish in 15 minutes. 1. 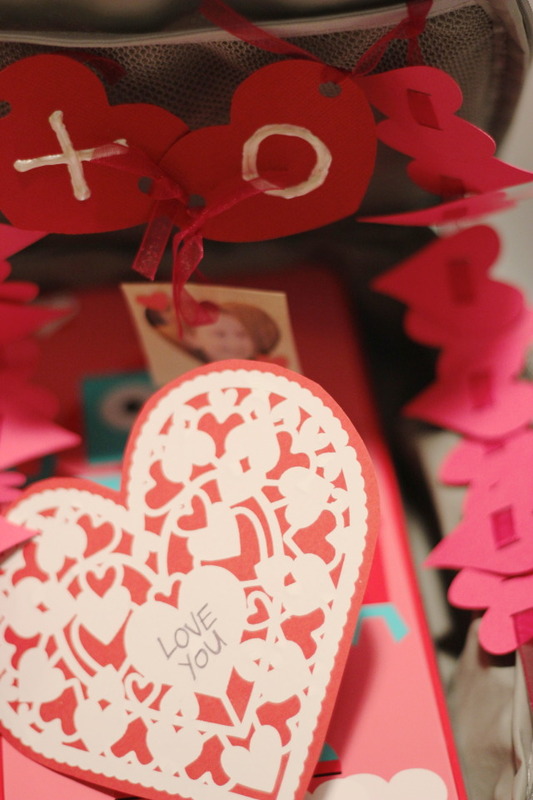 Paper heart chain: Easy supplies, great results. Make one for your doorway even if you don't have kids! 2. 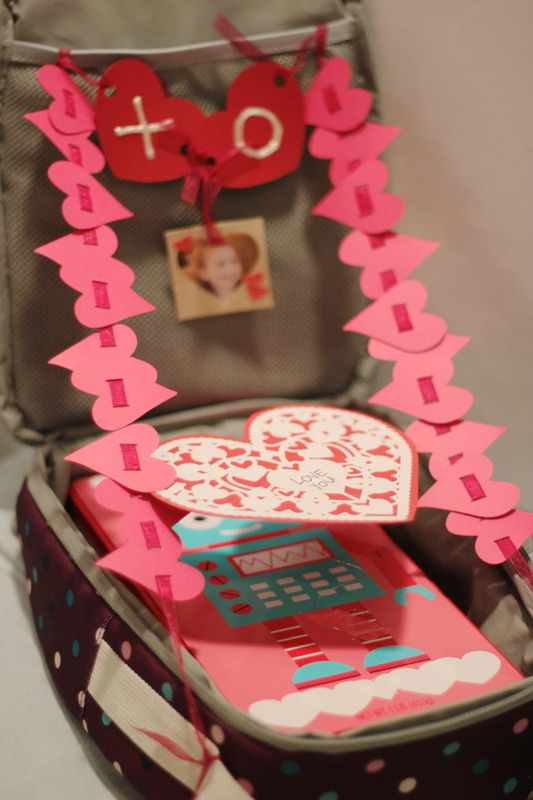 Orgami hug: Two hand prints and an accordion fold and kids can declare their love. 3. Arrows through my heart: Free printable for these beauties. And don't forget about the red velvet. 4. Chocolate covered strawberries: Slice, coat, drizzle. Repeat. And save some for the class. 5. Awesome sauce! : Love this simple addition to store bought sauce. Any fabulous ideas you want to share? The boxes of valentines have been purchased and the myriad of heart pictures, stamping, cards, and cut outs have begun around our house. I've been a romantic nearly my whole life, decorating my little girl room with piles of pink and red construction paper heart chains. As I grew older and my romance fell upon beaus, I'd create oodles of cupid-speared hearts written in curlicues and glitter and write out love poetry to adorn my walls and windows. These days my adorations fall upon 3 little people and a great guy, and I find myself drawn to the simple, daily ways to say I love you always and forever (and I support every effort to fill the house with heart-shaped everythings). We've been having a ton of snow around here lately, and everyone, save me, loves to be out in the snow and in the sled so I have galiantly taken on the role of Hot Chocolate Barista. My people claim that I am THE best hot chocolate maker. Ever. 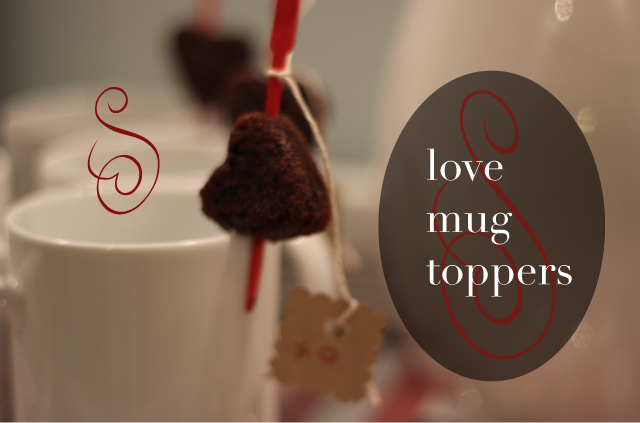 I'm not sharing my secret recipe, but I am sharing something to make Valentine hot cocoa, coffee, or tea extra sweet. I've had this container of bamboo forks ever since I hosted a Hunger Games bookclub party with friends, and I've been awaiting Cupid's prompting to use them. These are basically brownie bites so make the brownies more on the cake than fudge side. Bake the bites a little less than half the total time for a full sheet of brownies. Keep an eye on them as these times vary. Once the brownies are cool, carefully spear Cupid's arrow through the middle and wipe the end clean. Add special notes with string or twine or leave them as is for a yummy addition to any hot drink. Happy Valentine's, dear friends. Who's ready to cut up some paper doilies with me? Here's some new Friday fun for you, my lovely friends. 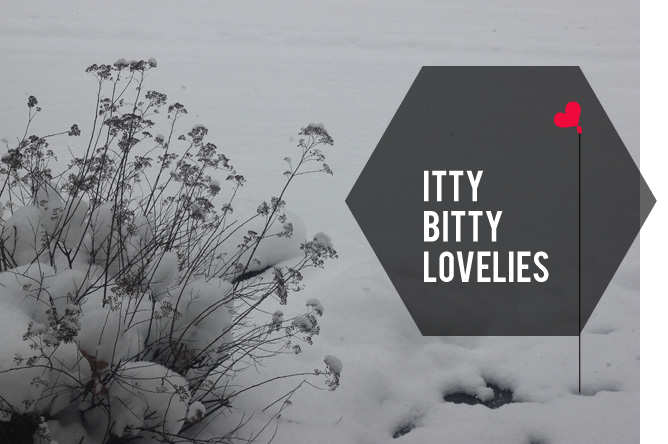 Itty Bitty Lovelies will include some big and small ideas and links that I've found that won't require you to invest your entire weekend (or take a short vacation) to accomplish. These snippets are scrumptious morsels that you can work into your everyday and make it just a little bit more magical. I'm even throwing in a very practical tip or two that I've discovered during the week. Most of these will not be asteroids of unbelievability, but they may just make your life a little bit easier... and that would make me more than itty bitty happy. Do you make the delectable cinnamon roll in your house? These look so good. You can move away from the traditional spiral to an endearing heart shape. Super easy with big impact! Check out the recipe over at Cake & Allie. 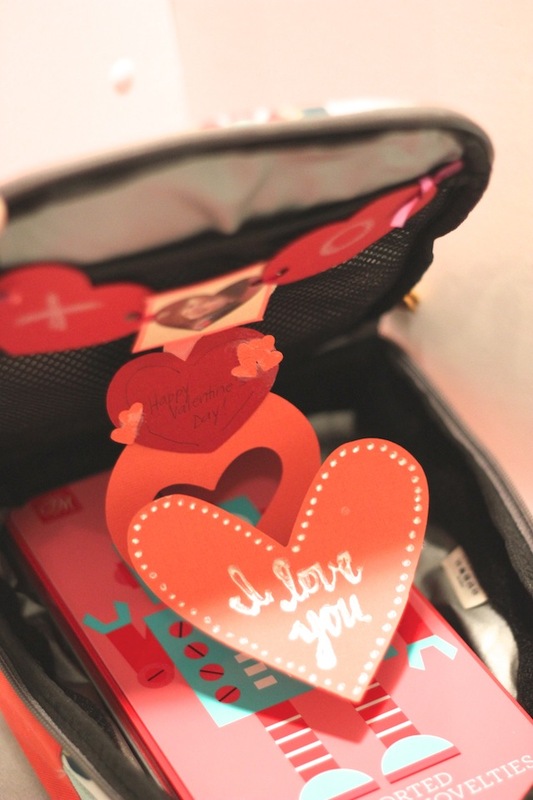 This monkey craft is great for a class Valentine or a little homemade love for your near and dear. I'd love to see it in red and pink for an extra obvious Valentine feel. You can do this with the kiddos if you have a half hour to spare. The crafters over at Fiskars have all the info you need. Felt fortune cookies? Yes, I see them in your future. This one will be a trip to the craft store, but the finished effect is awesome...and would be perfect for that very special announcement or enduring declaration of love. The brilliant contributors over at Honest to Nod have the deets. 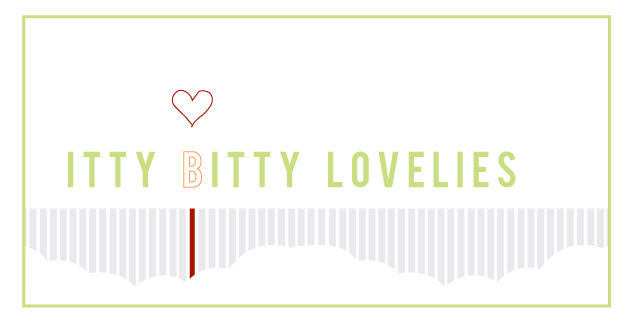 My itty bitty discovery this week? I am a much happier human being if I can get school lunches and snacks packed before dinner. What's the big deal? I'm not sure, but it's definitely a daily pick-me-up to know that my evenings are clear for work, blogging, and chilling with the hubs rather than food prep. What's your thought? It's big, bad, beautiful to be back with you all. Thanks for visiting. Come on back next week; we'll have a good time.